Of all the species of monkeys in the world, the Japanese macaques live in the furthermost northern regions, often in areas that are covered by snow 4-5 months of the year, hence their nickname "snow monkeys". 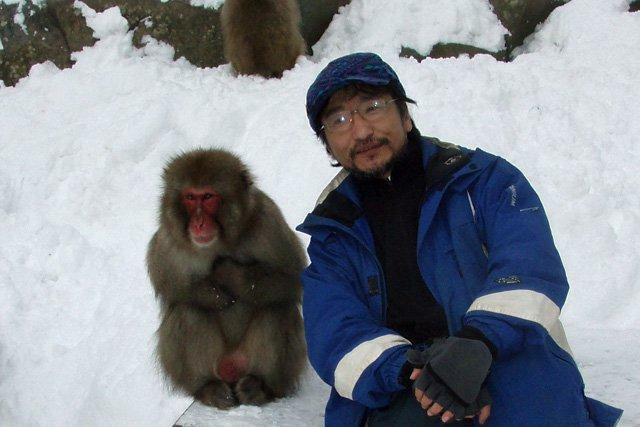 Jigokudani Wild Monkey Park is dedicated to researching the troupe of monkeys that inhabit the Yokoyu River valley. Located at the base of the Shiga Kogen highlands, and just upstream from the resort town Shibu-Yudanaka Onsen, the valley is dotted with several hot spring mineral water sources. 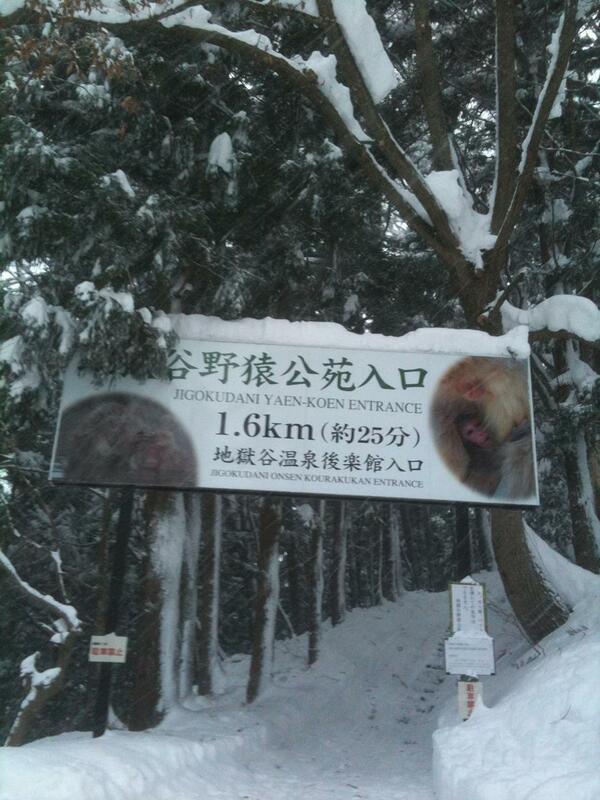 Their steaming activity is the reason for the name "Jigokudani" (literally, "Hell Valley"). 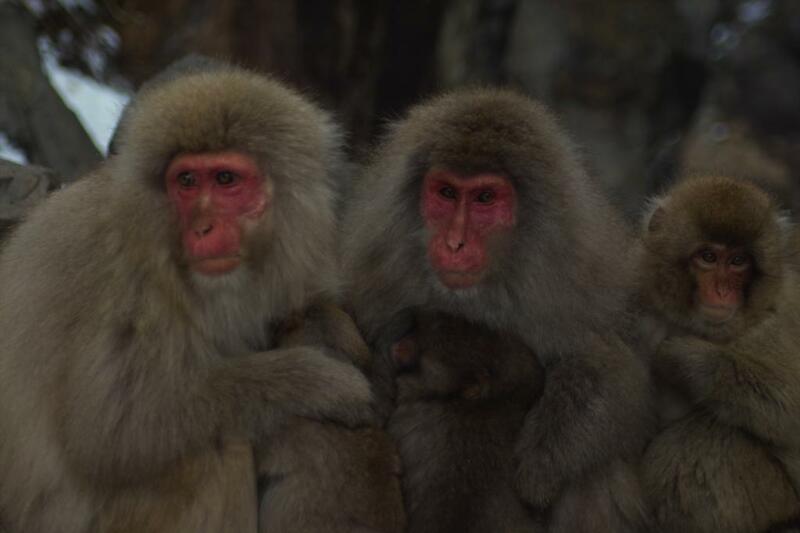 As the macaques here have taken to bathing in the hot spring pools, Jigokudani Wild Monkey Park is the only place in the wild where you can see snow monkeys bathing in an onsen. Park visitors can walk among the monkeys and enjoy watching the antics of youngsters running all over, as well as photograph alongside the onsen bath for great pictures of their blissful-looking faces as they soak in the hot spring water. Jigokudani Wild Monkey Park is not a zoo. Guests actually enter the wild habitat of the monkeys, making for a great opportunity to directly observe the macaques and their fascinating social behavior. Staff members feed the macaques enough so that they don't wander off and never come back, but not too much to where they rely on people for food. By keeping that balance, the monkeys return to the park every day but pretty much ignore the humans. Staff leader Hagiwara-san is actually an award-winning photographer. He and the other staff members are extremely knowledgeable about the macaques and are happy to answer questions. Their English is limited so having an interpreter is suggested. Park facilities are rather simple were recently remodeled in December 2016. Trail from parking lot is unpaved and uneven. Open daily throughout the year. NOTE: Every year there are a few times when the monkeys do not come down to the park (most likely in the late summer or fall). Unfortunately, there is no way to predict this in advance. Monkeys soak in the onsen mainly in the winter to keep warm, so they don't go into the baths often in the spring/summer/fall. The park is the natural habitat of the wild monkeys, far away from where humans live. The path is unpaved and can be slippery, especially with snow in winter. Please keep the monkeys wild by following the park rules: No eating or drinking outdoors, no not feed the monkeys, do not touch the monkeys. From Yudanaka Station(Nagano Dentetsu Nagano Line), Take taxi or bus to Kambayashi Onsen (15 minutes). From Kambayashi Onsen, it is a 30 minute walk to the park. From Shinshu-Nakano IC, Take Route 292 to Kanbayashi Onsen (13.8km, 20 min.). From the park's designated parking lot, it is 30 min. on foot.